The “Mountain of the Spirit” is close to my heart. It is simply because I spent more than a month at the foot of Manaslu ten years ago. Since then, I have had a personal relationship with this impressive eight-thousander in Nepal. 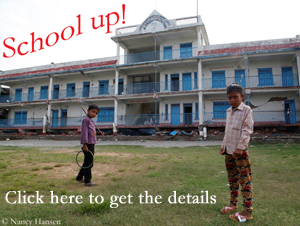 In spring 2007, I reported from the base camp at 4,850 meters about a commercial expedition. Once I myself climbed up to Camp 1 at 5,700 meters. At that time we – expedition leader Ralf Dujmovits and eleven clients as well as a team of two from Austria – were the only people on the mountain. 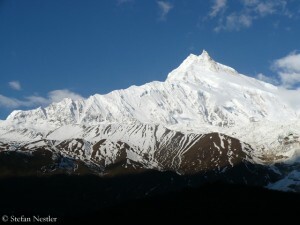 We could not imagine (and would not have liked) then that Manaslu would mutate into the “Mount Everest of fall season”. In the current season about 500 climbers populated Manaslu Base Camp. Nearly 200 summit successes have been reported so far – being noticed that this time mostly pictures were published that had been taken on the highest point and not, as in previous years, on a spot below. Among those who reached the 8,163-meter-high summit there were two climbers with whom I had been en route on other mountains.